ry service. It was here that he first met Imi Sde’Or, the Chief Instructor of Krav Maga for the Israeli Defense Forces. Haim was immediately devoted to Krav Maga, and it was through this devotion that he developed his skills. When he was released from the military in 1955, he had already attained advanced fighting ability. In 1956, Haim returned to the IDF as a reserve soldier, taking part in the Sinai Campaign, a war which involved the joint operation of Israel, France, and Great Britain against Egypt. Following his release from the military, Haim returned to Pardes-Hana, where he worked teaching underprivileged youth agricultural skills. During this time he remained in regular contact with Imi, who continued to serve in the IDF. long mentorship was born. Haim was one of four students to attend the original instructor course, and following its completion he became Imi’s top student. He received his license to teach martial arts from the Wingate Institute in 1963, and began teaching classes. Haim’s first class was in offered in Hadera, and from that point on he would train students in Hadera, Pardes-Hana, and Gan Shemu’el. During the early years, Haim donated his time to the rehabilitation of gang members through the study of martial arts. As Imi’s student, Haim would also become a co-founder of both the Federation for Krav Maga and Self-Defense, and the Israeli Krav Maga Association. In 2003, the leading coaches and masters of fighting arts in Israel decided to honor Haim with the rank of Dan 10 because of his contribution and work within the community of martial arts in Israel and in Krav Maga specifically. At the same time, he was inducted into the martial arts Hall of Fame and, in 2006, he was given the title of Grandmaster in recognition of over forty years of teaching. 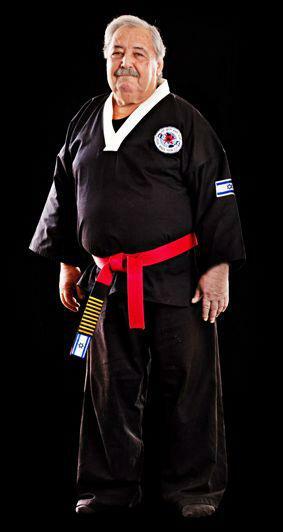 Today, Grandmaster Haim Zut is the highest ranking Krav Maga instructor in the world, and, at the age of 74, he continues to teach Krav Maga and lead the most respected Krav Maga association in Israel. Not only is Haim a Krav Maga Grandmaster, he is also an educator who serves as a model for his students, focusing with special care on those underprivileged children to whom he devotes his time.